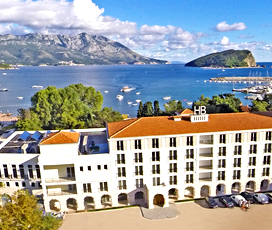 "This small coastal town, is by far the most popular destination in Montenegro. It is renowned for it's bustling night life and excellent bars / restaurants..."
Budva is the capital of Montenegrin tourism for a reason, offering a plethora of great things that all guests are bound to enjoy. Foremost of these, is its historic Old Town (Stari Grad), replete with large medieval walls and meandering cobbled streets that ooze atmosphere. It is also the jewel in the crown of the Montenegrin Riviera, with several iconic beaches, including Jaz Beach and Mogren Beach. The town of Budva dates back about 2,500 years which makes it one of the oldest urban settlements on the Adriatic coast. Budva is a great destination for nights out, with young people from around Europe coming to enjoy its vibrant party scene. This combined with the spectacular beauty of the town and the nature that surrounds it, makes Budva one of the best romantic holiday destinations in Europe, if not the world. As a walled coastal town it is located on the beautiful blue waters of the Adriatic Sea. 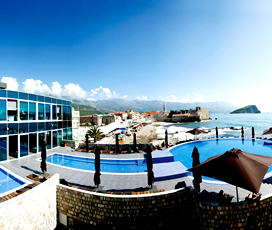 It is part of the increasingly famous Budva Riviera, known for its pristine sandy beaches and exciting nightlife. The old town, known as Stari Grad, is surrounded by 15-metre-high medieval walls that were built by the Venetians and are reminiscent of the more famous ones found in the Croatian city of Dubrovnik. Budva is fairly small with a population of around 15,000 making it ideal for those who want a holiday that combines stunning natural scenery and a vibrant cultural scene. The town has a pleasant Mediterranean style climate, with hot summers and wet winters. This makes it ideal for people who want a summer holiday, with the months of June, July and August especially good. The late spring and early autumn are also hot, although there is more risk of rain during that time. August is the best time to swim, when the sea temperature averages above 25 degrees. It first colonisation was by the Illyrians in the 5th century BC and local legend holds that it was actually the first town that the Illyrians built. It had fallen under Roman dominion by the second century and was famous for the olives and grapes that were produced there. It fell under Byzantine control after the fall of the Roman Empire a state of affairs that lasted until the Serbs took control in the 12th century. By the 15th century, like the majority of the Adriatic, it had fallen under Venetian control a period that was dominated by skirmishes with the Ottomans to the east. It was conquered by Napoleon in the early 19th century and then passed to the Austro-Hungarians, until the empire fell after the First World War. It then joined the Slavic Republic, which later became Yugoslavia, splitting from it after the civil war that ravished the Balkans during the 1990s. Combine a beautiful town centre, with a gorgeous coast, results in the perfect family holiday. Families should head to the famous Jaz beach; whose shallow waters and sheltered nature make it ideal for children to safely enjoy the sapphire waters of the Adriatic. No trip to Budva would be complete without a walk along the Old Town Walls, which offer panoramic views over the bay and surrounding area. While, the Old Town (Stadi Grad), is the perfect place to find a café and enjoy some family time, amidst amazing architecture. With several incredible beaches, including Mogren Beach and Jaz Beach, each one renowned for the clarity of its water and the quality of its sand, tourists will not want to leave. 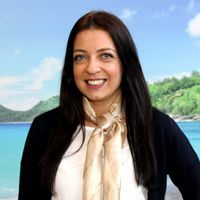 Visitors could also take a boat trip to Sveti Nikola, an island just of the town, which is nicknamed Hawaii by the locals and more than earns its name. Other attractions of note include the town’s stunning medieval walls that offer panoramic views of the surrounding area and the ballet dancer statue, which looks out to sea and has become the totem of the town. Renowned for having the finest nightlife in Montenegro, the city more than lives up to its name, with a plethora of clubs, restaurants and bars for visitors to enjoy. There are plenty of cool bars in the old town, where visitors can enjoy a cocktail surrounded by the impressive medieval walls. Budva’s most famous clubs is called Top Hill an open-air nightclub that holds more than 5000 people and offers stunning night-time views over the city. 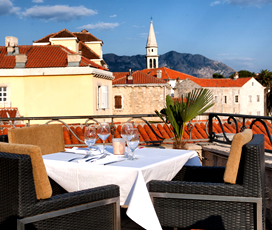 There are also a variety of restaurants serving local food, with great views over the Adriatic, ensuring that Budva has something for everyone to enjoy. Budva’s beautiful Old Town (Stari Grad), is the town’s vibrant shopping hub, with an array of shops offering products from local designers and more international names. The area is famed for the quality of its boutique fashion outlets, with colourful clothes in abundance. There are also a large number of shops on the town’s dreamy promenade, offering jewellery, cosmetics and souvenirs.